International Women’s Day- Celebrating Our Women Entrepreneurs. On this day, we honour Madame Cecelia Essel. Cecelia is one of the first five women that received a loan from the microfinance project in 2014 – a project that provides low-interest micro-loans to support rural women in agri-business and trade. 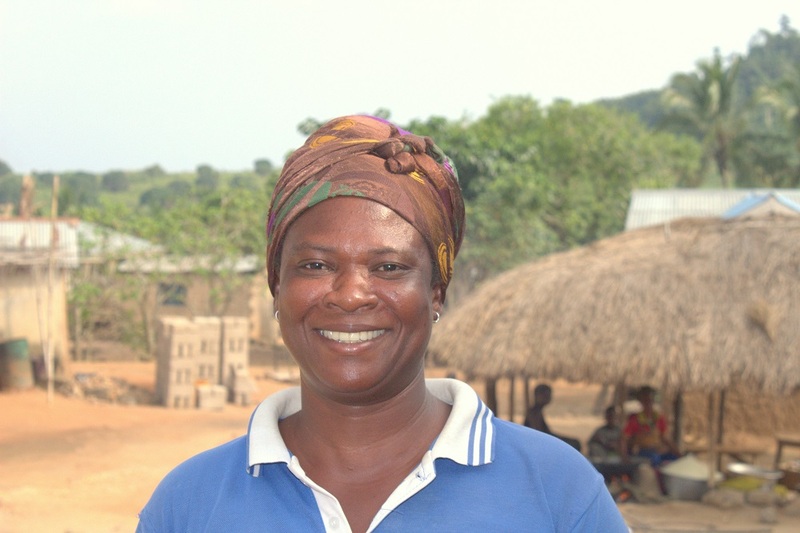 Due to her commitment and vibrancy in the group, she became the first group leader of the women who are beneficiaries. She currently manages a gari processing business and also runs the only grocery retail shop in her village, Akuful Krodua, Central Region, Ghana. Before being enrolled in the project, Cecelia was running her little retail store in the community and was gaining little to no profits. 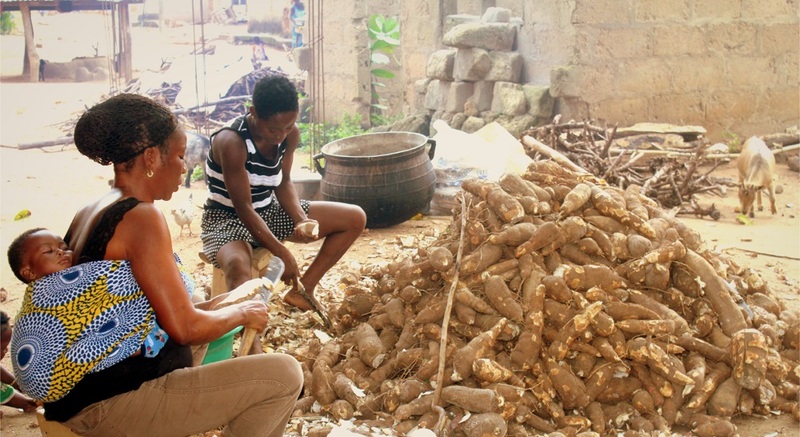 Through our financial management and literacy training, she identified gari processing as a viable business in the community and received our loan as her initial capital. 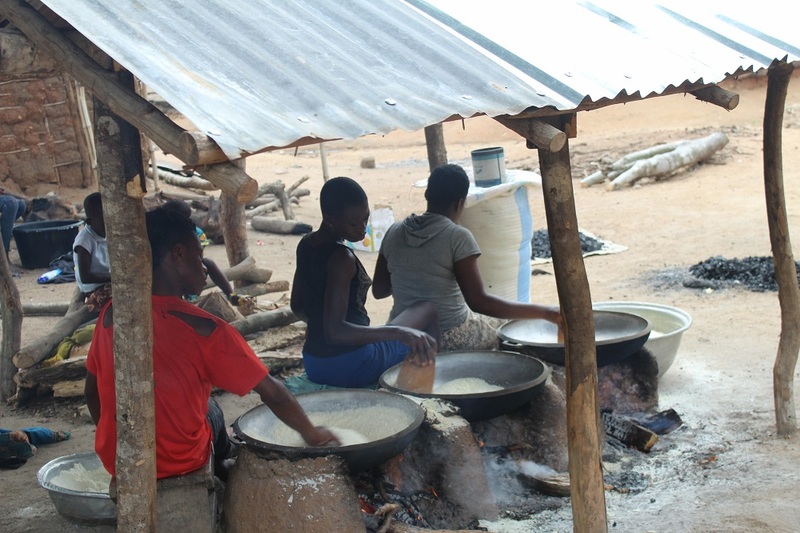 The cost of producing the gari is Three hundred and Seventy-Five Ghana cedes (Gh¢ 375.00) and makes an average return of Five Hundred and Fifty Ghana cedis (Gh ¢550.00) per production cycle – every 5days. Through the project, she has expanded her retail store, can now purchase raw materials for the gari production throughout the year and can afford to hire others. It takes her about 5days to finish the production cycle and she transports them to either Kasoa or Bawjiase market for sales on Tuesdays. During recent evaluation visit she mentioned, “Almost, I ensure all my products are sold to the latter before returning home”. This is because she has created a commendable goodwill in the community and the Kasoa market. She has also created a good communication structure with her customers and thus she produces based on the demands of her customers. Those that patronise her products make orders and she produces to meet their needs and this helps to reduce her losses. 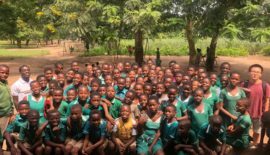 “I am glad to benefit from this loan, I am now able to financially support the needs of my children, especially in their education. 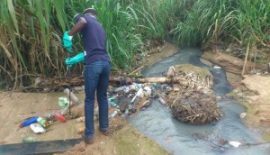 Particularly, I am happy that I no longer have to randomly borrow money to buy inputs for my business, I have a regular income to buy them with cash whenever I need them for my work” – Cecilia. 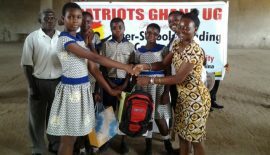 Patriots Ghana is committed to empowering more women in rural communities to press for progress and driving gender parity in Ghana and we are proud of Madame Cecilia Essel and other beneficiaries of the microfinance project through our partnership with Gadrage AID Foundation International. 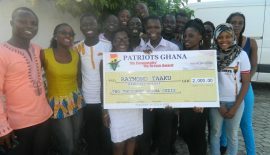 If you are interested in donating to support more rural women in business, please email us at team@patriotsghana.org. Happy International Women’s Day! Press For Progress!